Sano's body in this form is like an inky blob with tentacle like tendrils on the bottom. His eyes glow a brilliant blue but they do not lack expression. His mouth does close and open as his speaks. His Scythe is a separate blade. His black body will pick it up and form it in to the scythe seen in the picture. 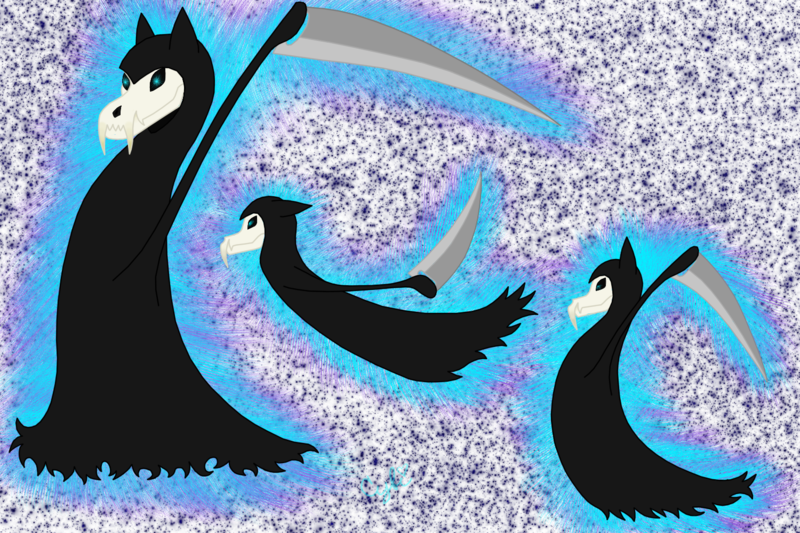 This is Sano's newly redesigned reaper form. The only parts that can actually make contact with anything is the skull and the blade of the scythe. The skull will crack as more damage is done to it.